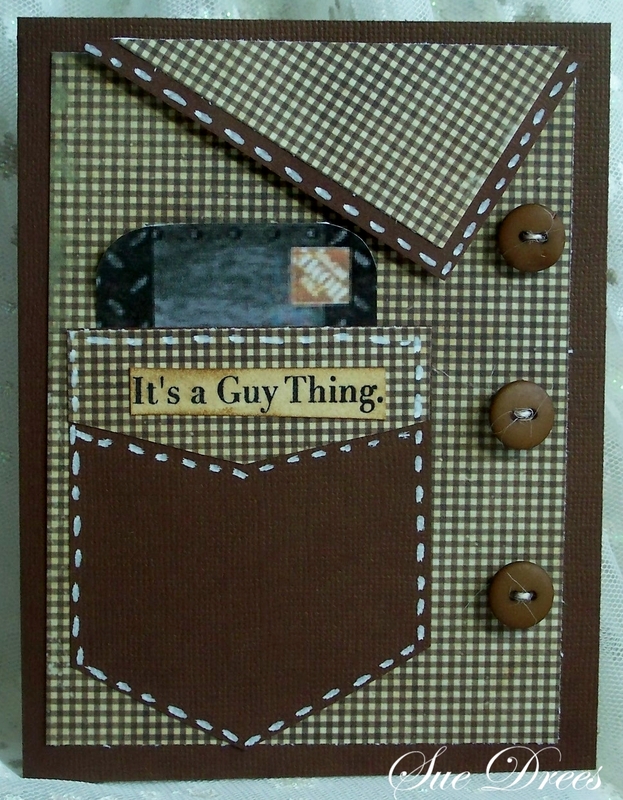 Today's idea is a couple of Father's Day cards. Father's Day is Sunday, June 16th. 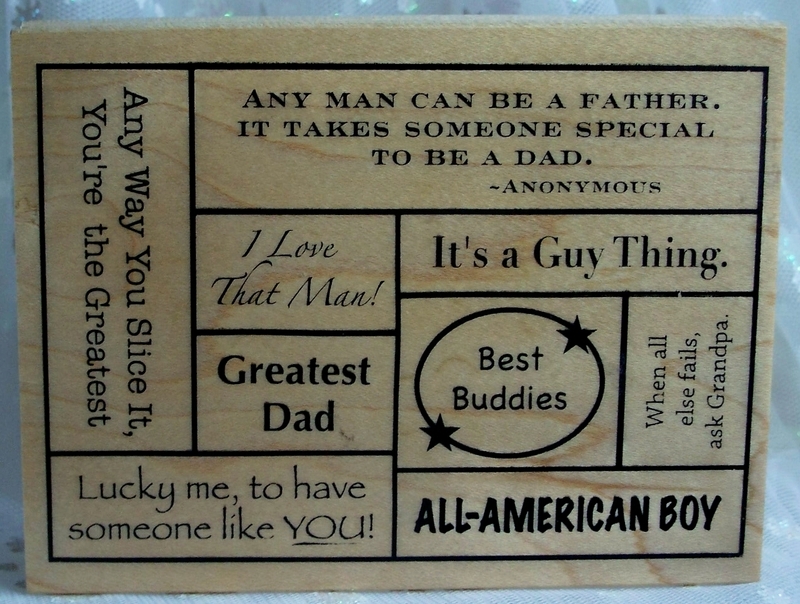 Green card stock run through the cuttlebug wood grain embossing folder. Black card stock base card. Red card stock and Bazzill Basics Paper, red. Darice embossing folder Chevron for the red tie. 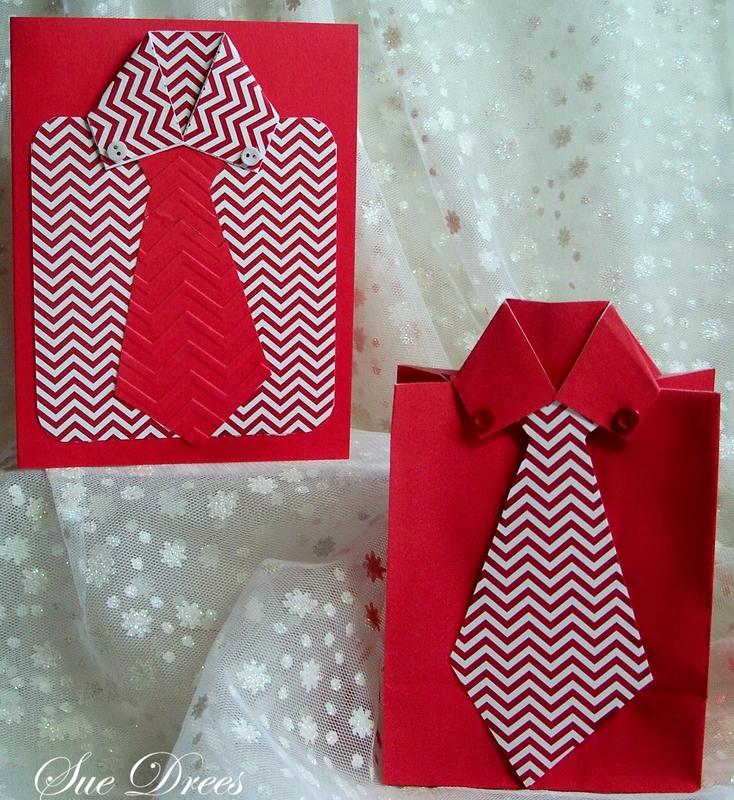 If your Dad isn't a shirt and tie kind of guy, this card is fun. You can slip a gift card into the pocket. the inside of the cards. It's from Great Impressions K81. I've had it awhile, so don't know if it is still available. Hope something here sparks an idea for you for Father's Day. 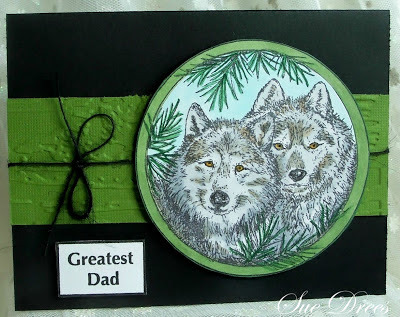 Wow what a gorgeous image on your first card and the colors are perfect for a wild animal scene. Great stamp you have there. I will have to see if it is still available somewhere. I love both styles of shirts. I would have to make the last one for Jack. He is not a shirt and tie type of guy. Thanks for some great inspiration with week. Pass along my kisses to our not so little friend please. Enjoy your week. WOW!!! 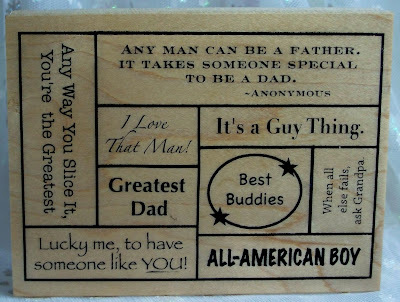 Lot's of brilliant ideas for Father's Day. I love the image on the first card and the shirt and tie design looks wonderful. 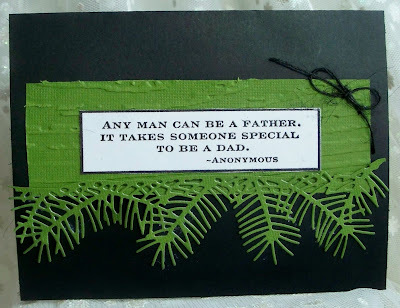 Wow - when you do Father's Day cards, you do Father's Day cards! These are all fabulous!!!! I may have to case your shirt card. I love them all. 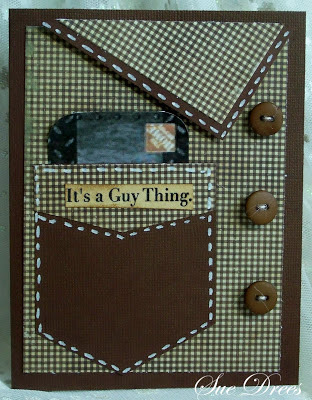 I think masculine cards are my favorite kind of card. Squigglefly is doing a masculine challenge too - you could link these up to it too. Hugz!!! Truer words were never spoken about what it takes to make a Father. I happen to be using that on my husband's card this year. That brown and white checked shirt is my favorite, but I had to study them to choose. Ha Ha.